We sell M/K tuning slides and leadpipes which are made to fit many different types of trumpets including Bach, Stomvi, Yamaha, and many other. 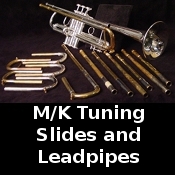 We have a wide variety of leadpipes and tuning slides. 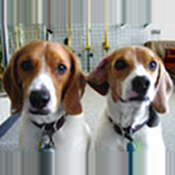 The different tapers of the leadpipes change the playing characteristics of the horn and different metals change the color of the sound. The tuning slides come with different shapes, water keys, metals, and bracing that affects how the horn plays. More information coming soon.